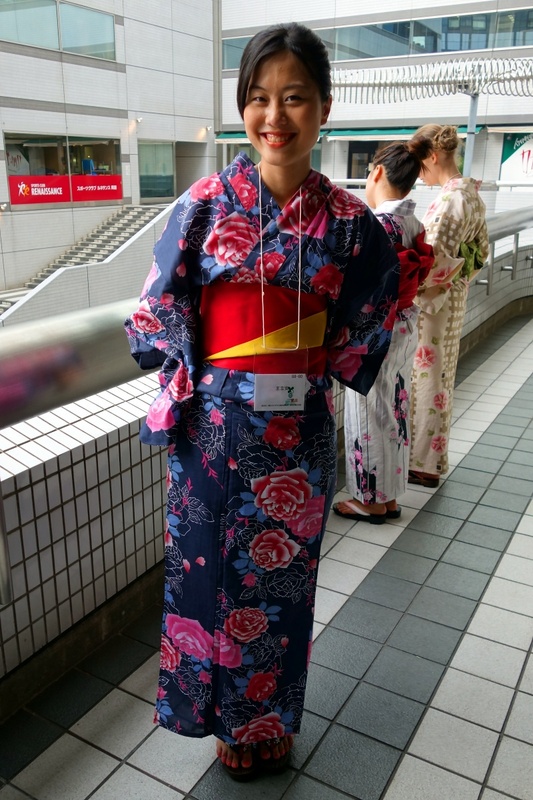 Invited by ISHIKAWA Keiko from the tourism office of Tokyo’s Sumida ward, I spent a great afternoon/evening with wonderful weather visiting Sumida ward as part of the Yukata De Guide Tour 2014 gathering many Japanese people and foreign tourists/residents. 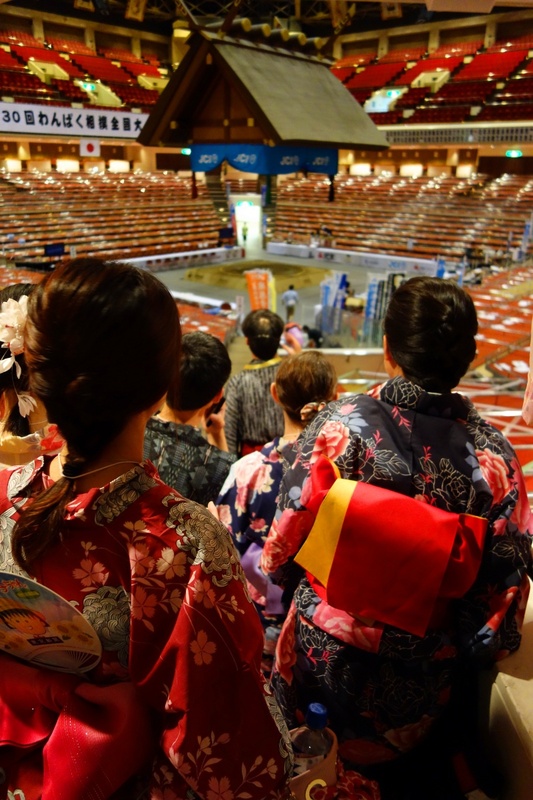 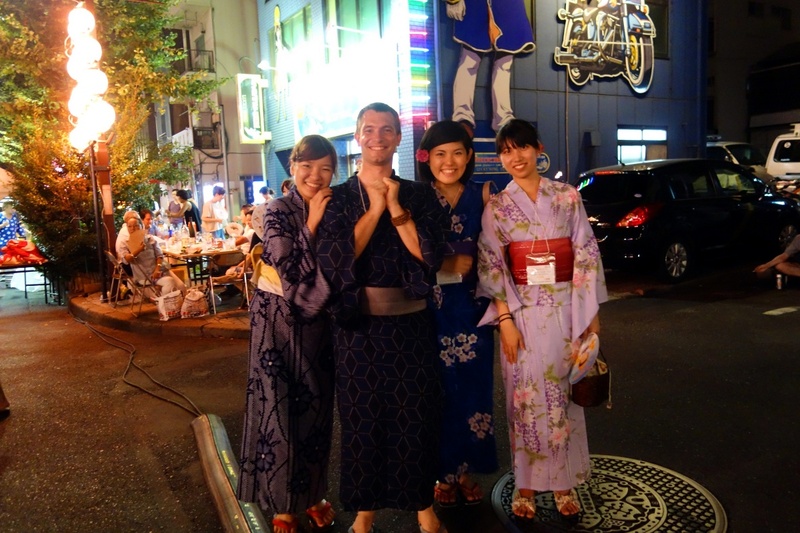 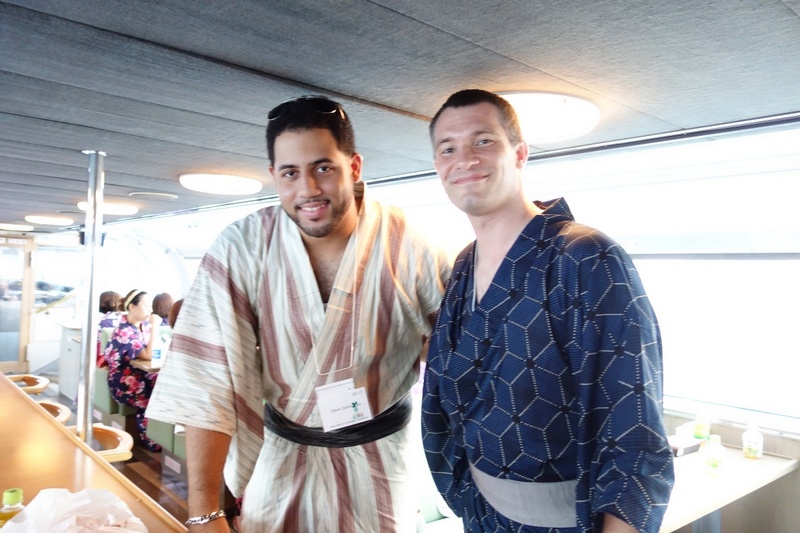 To experience the Japanese culture and instil a great ambiance, the organizers provided us with traditional shoes and “yukata” summer kimonos. 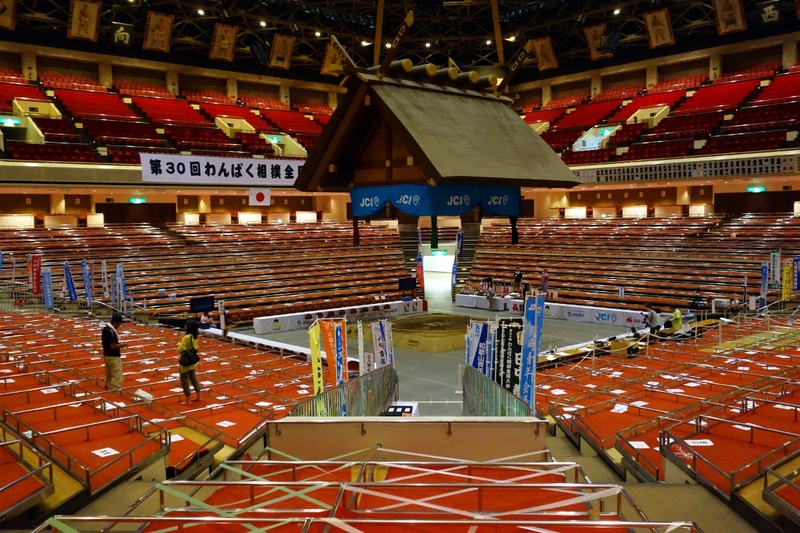 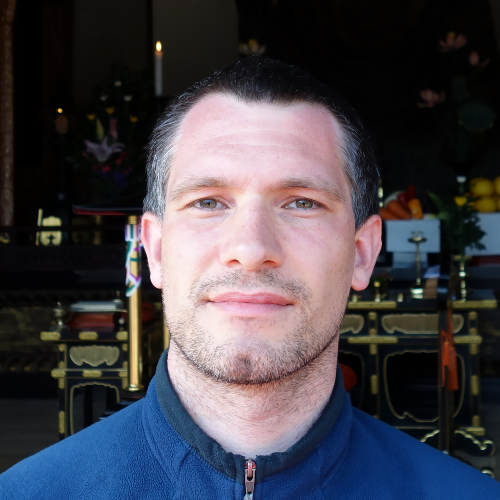 Accompanied by a tour guide, we visited Ryogoku-kokugikan sumo arena, a building unique in the world where sumo wrestling tournaments happen 3 times every year. 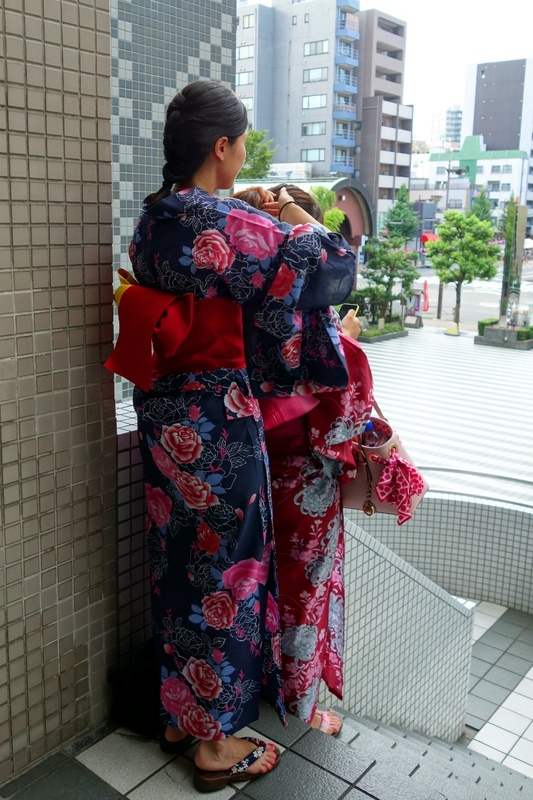 In the Former Yasuda Garden, we watched a tea ceremony, ate sweets and drank matcha green tea distributed by cute Japanese children in yukata! 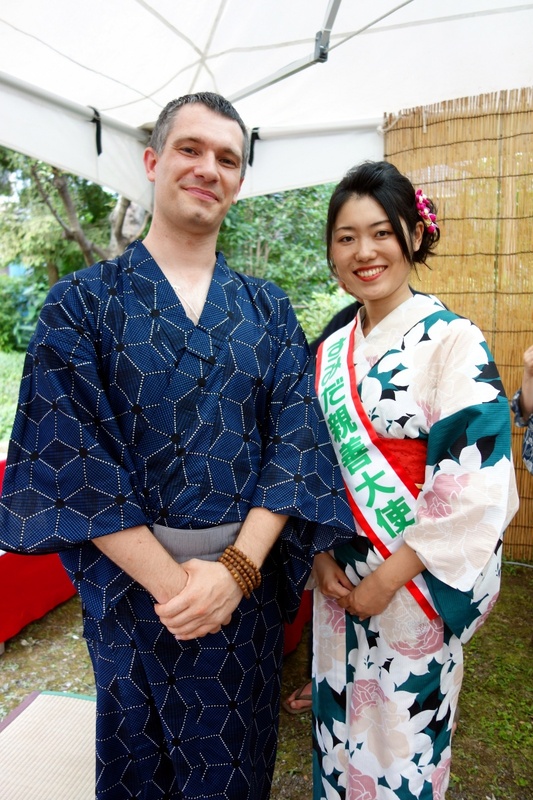 I met many nice people and discussed in Japanese, English, French, and Spanish with students, reporters, embassy staff… and even shortly with the joyful mayor and beautiful goodwill ambassador of Sumida ward! 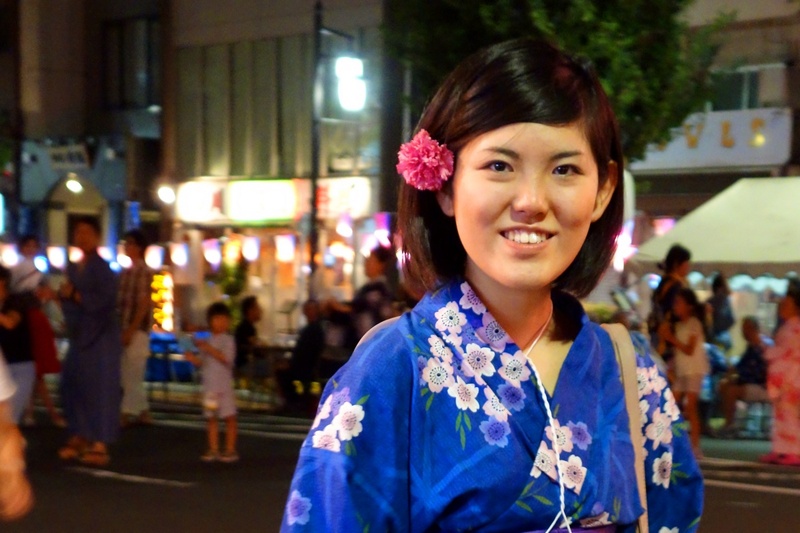 ISHIKAWA Keiko on Inner Japan. 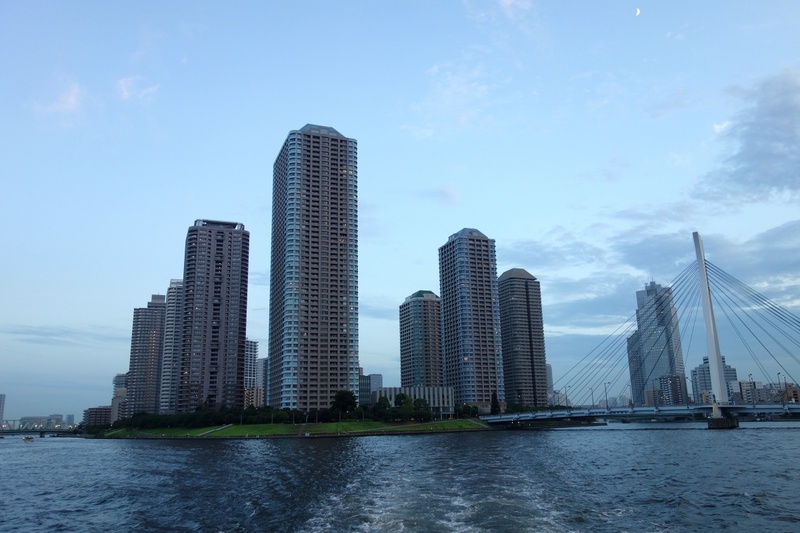 Sumida ward on Inner Japan. 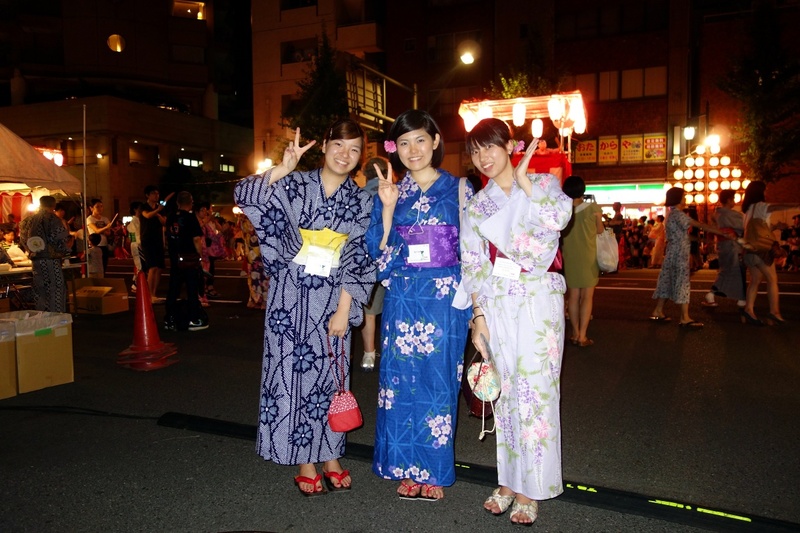 Official Website: Tourism office of Sumida ward. 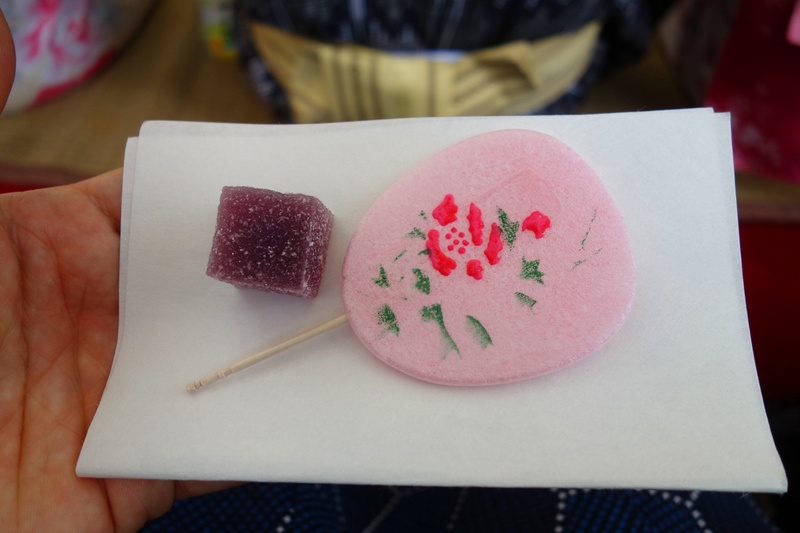 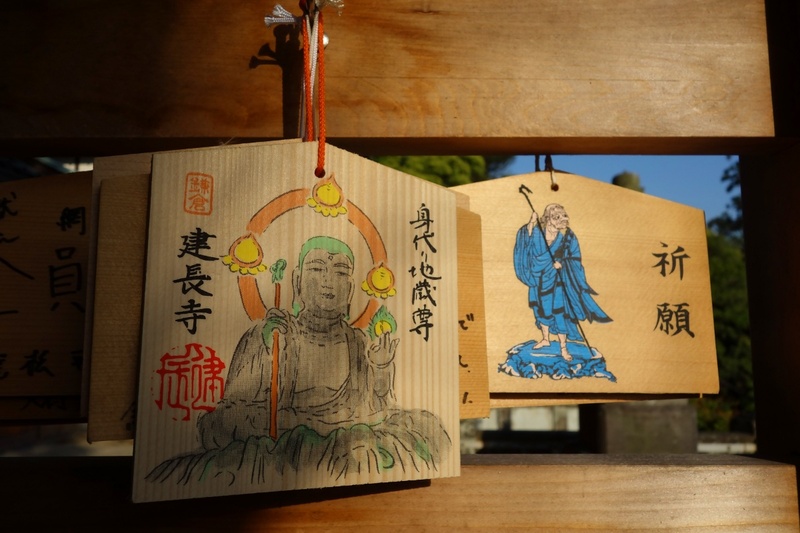 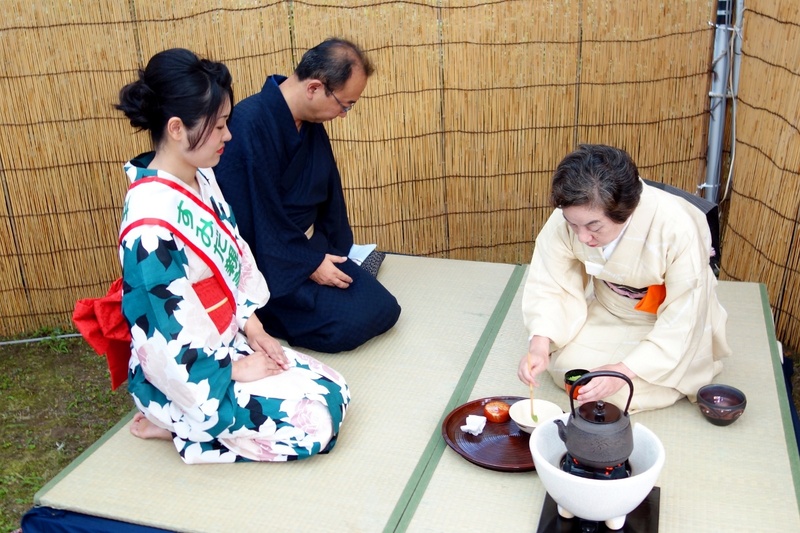 Official Website in Japanese & English: Sumidagawa Edo Cultural Sightseeing Promotion Association. 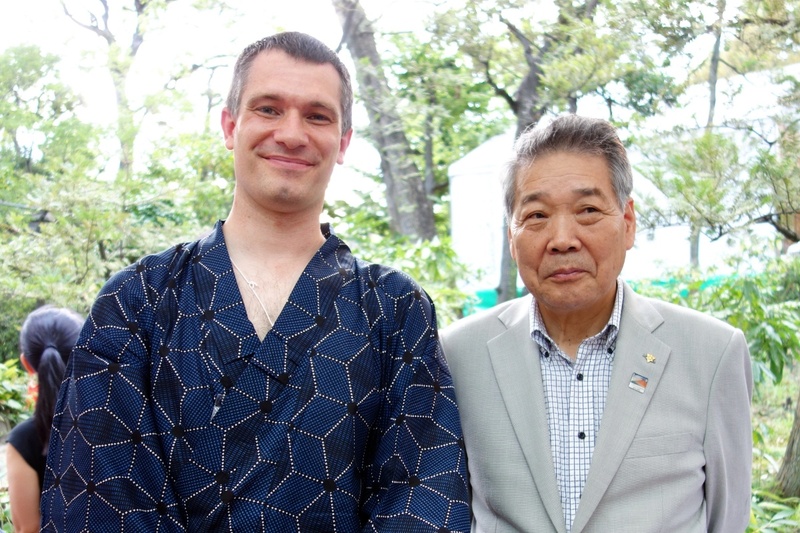 Goodwill ambassador of Sumida ward = すみだ親善大使 (Sumida-shinzen-taishi). 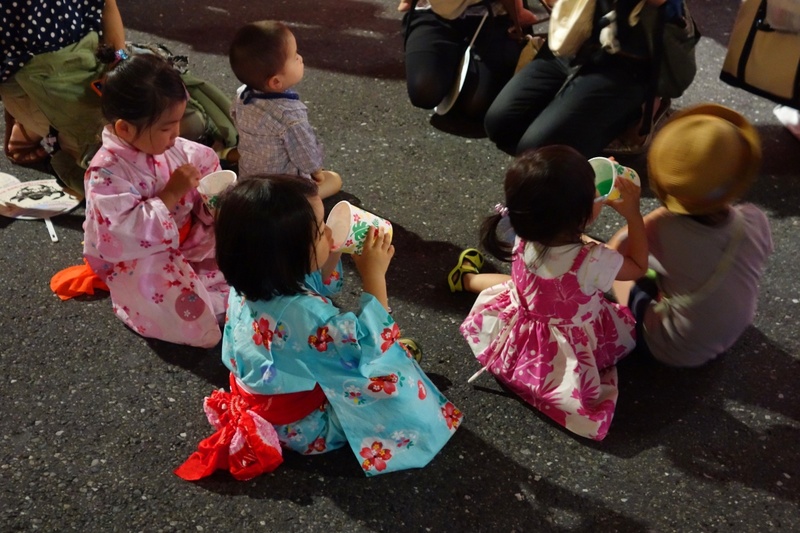 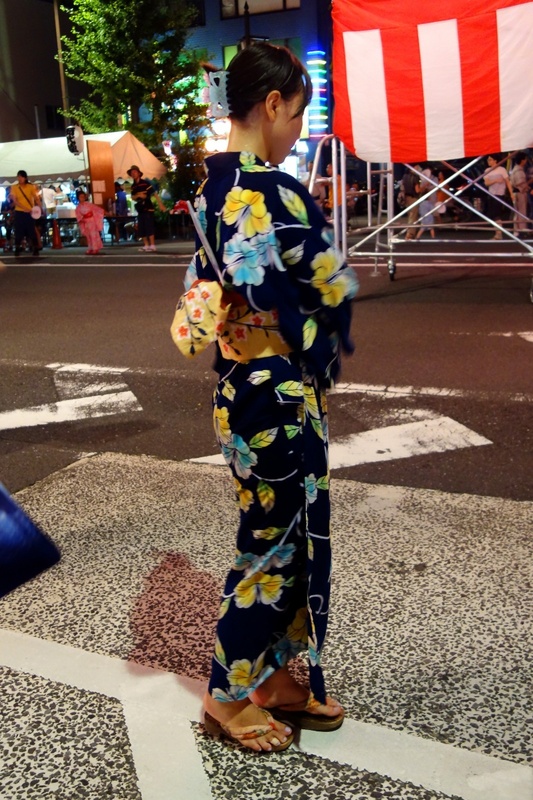 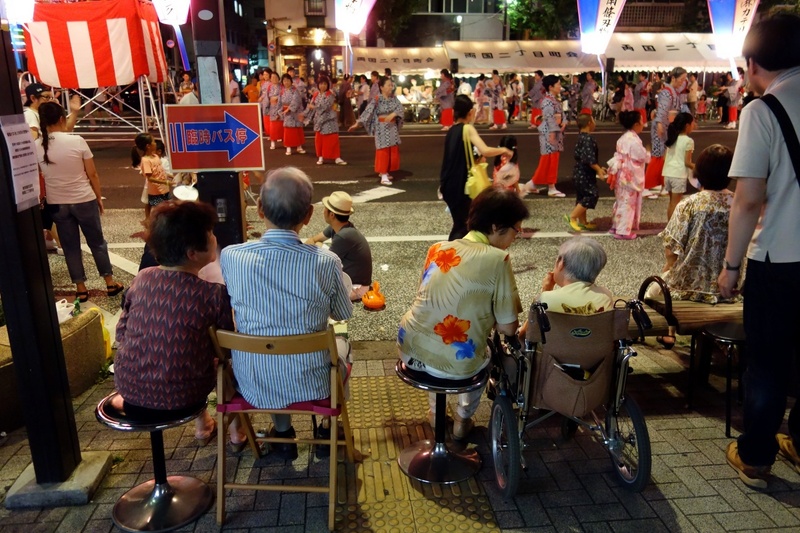 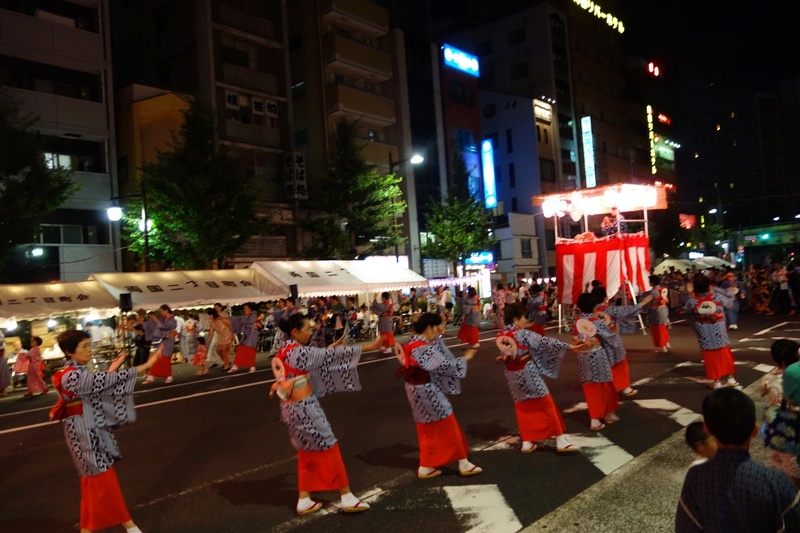 Yukata = 浴衣, Bon-odori = 盆踊り, Obon = お盆. 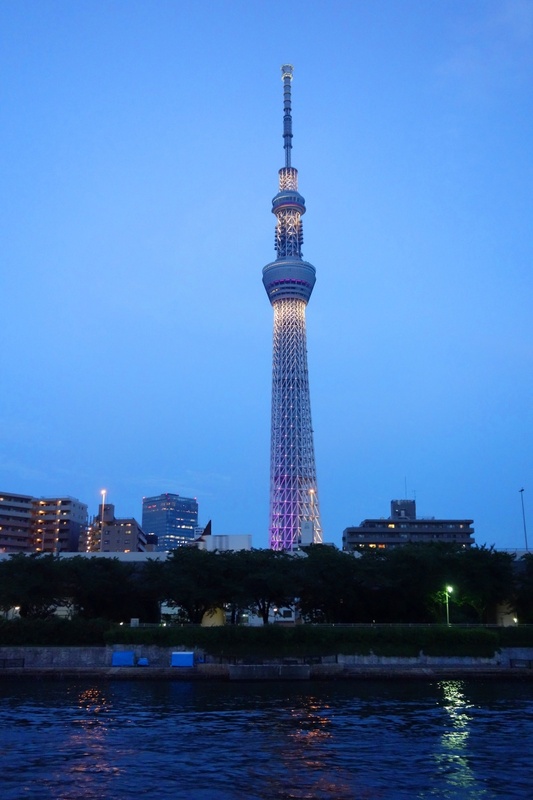 Former Yasuda Garden = 旧安田庭園 (Kyu-yasuda-teien), Ryogoku-kokugikan = 両国国技館, Tokyo Skytree = 東京スカイツリー (Tokyo-sukai-tsuri). 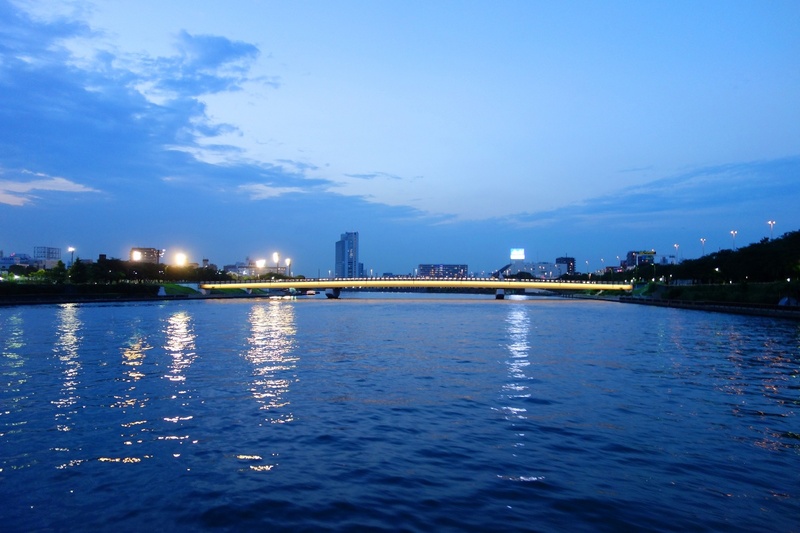 Sumida river = 隅田川 (Sumida-gawa), Sumida ward = 墨田区 (Sumida-ku), Tokyo = 東京.